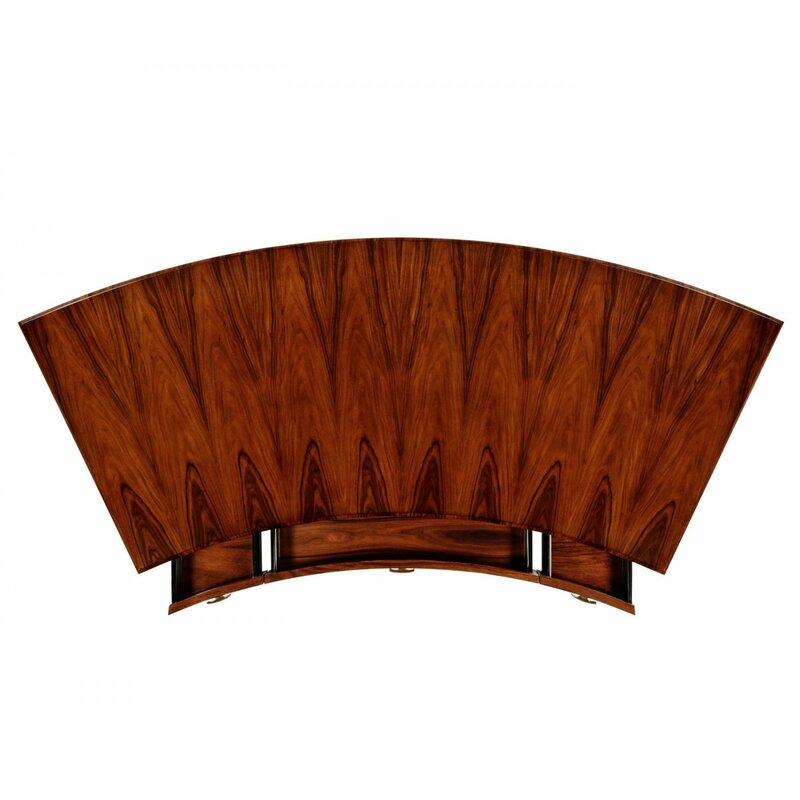 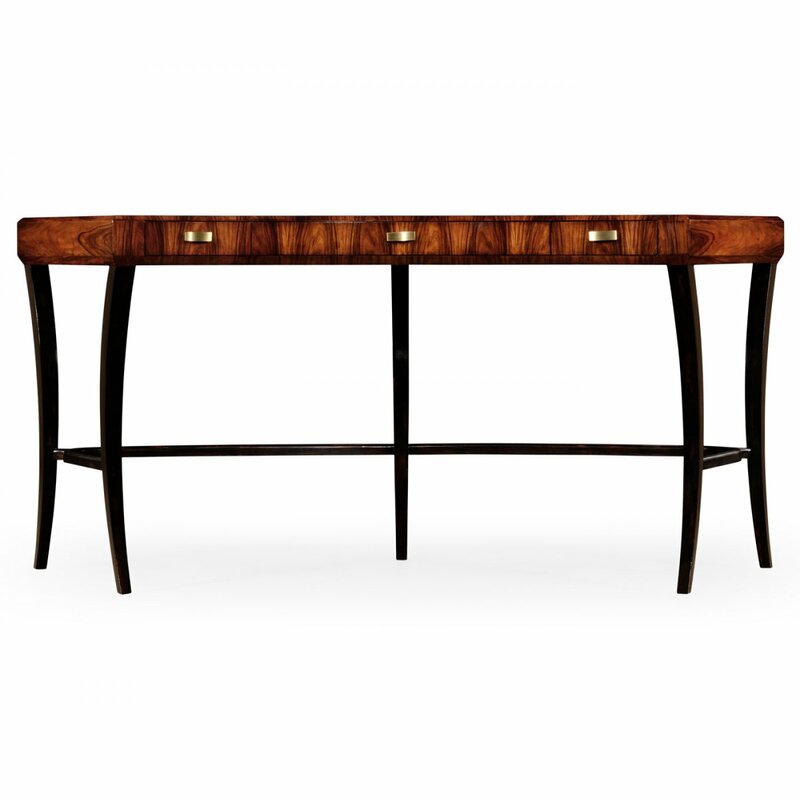 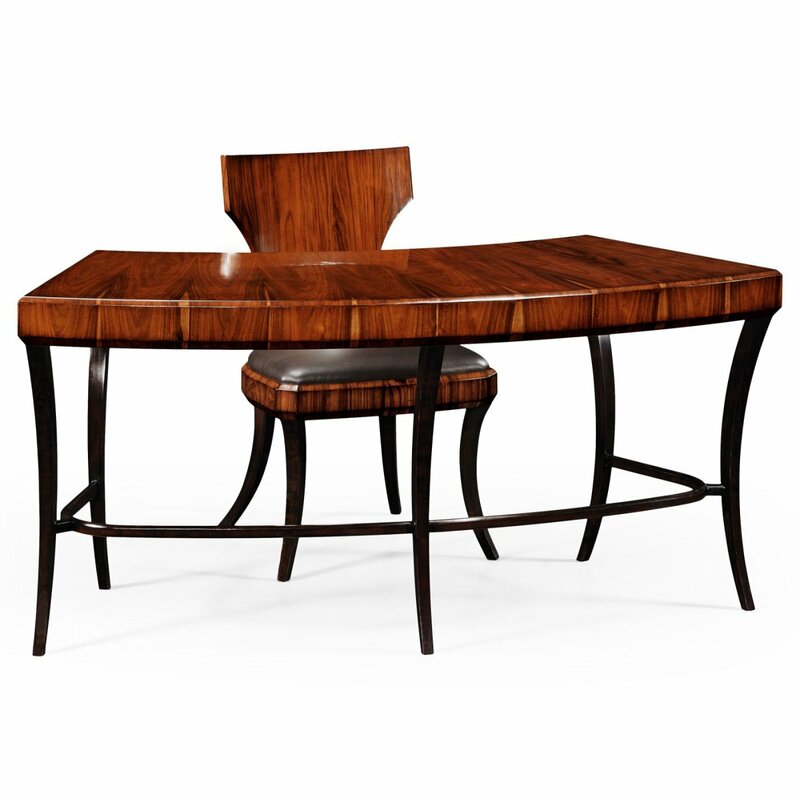 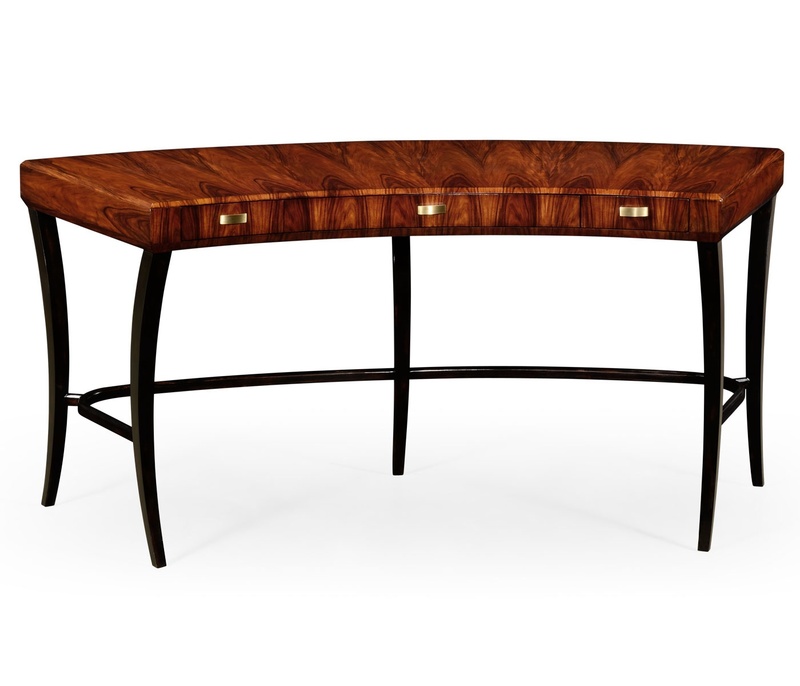 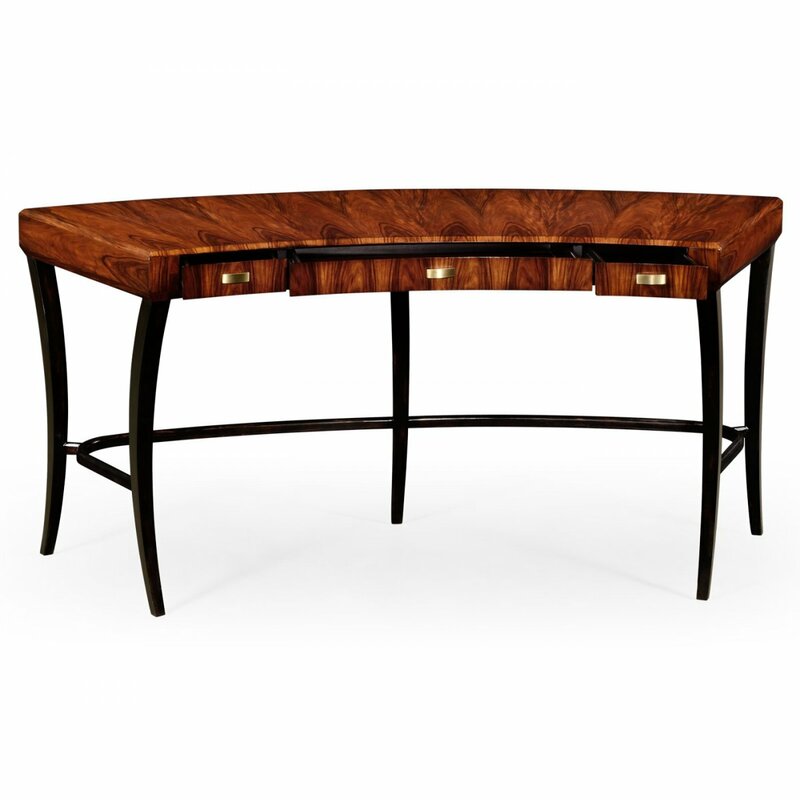 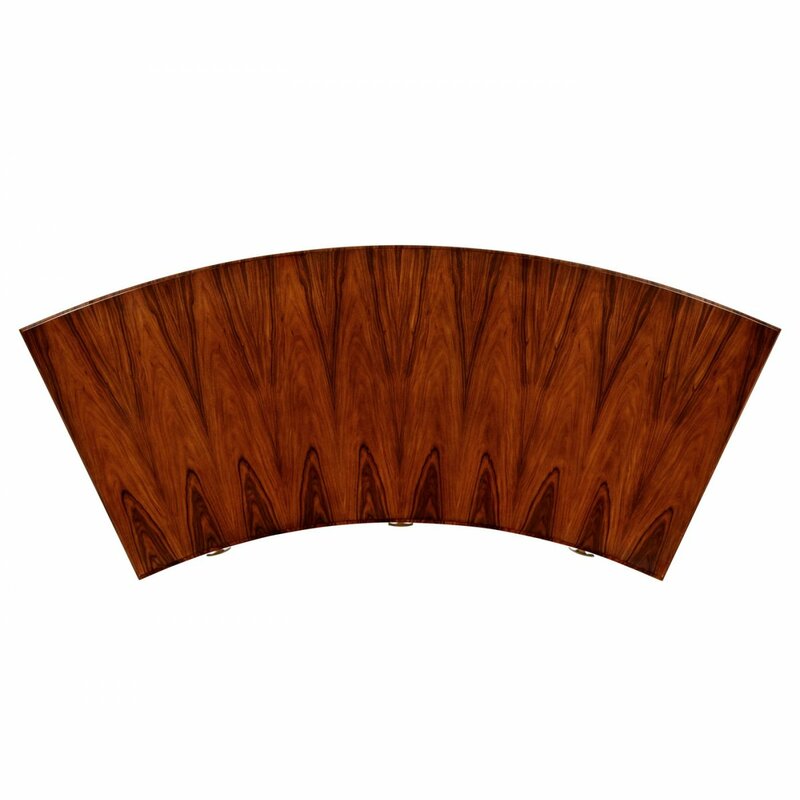 Art Deco Luxury Office Desk features high lustre finish, Santos Rosewood veneered top, three drawers with square brass handles and elegantly curved ebonized legs. 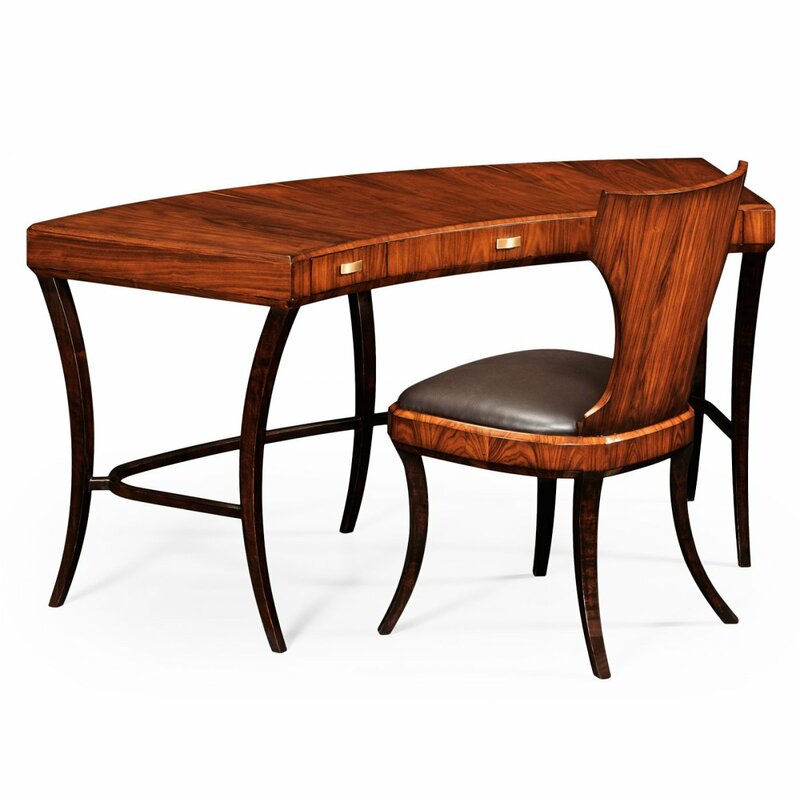 Matching desk chair and a stylish Jonathan Charles triple dressing mirror with three adjustable oval glass panels set on a curved base with two central drawers and two hinged exterior drawers available to order separately too. 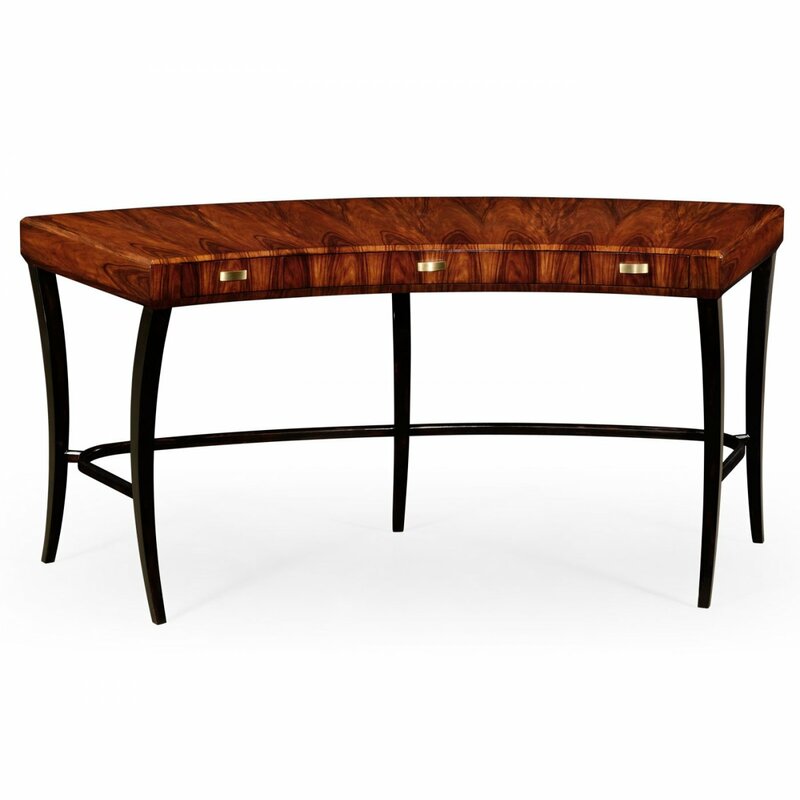 Also available in the satin finish. 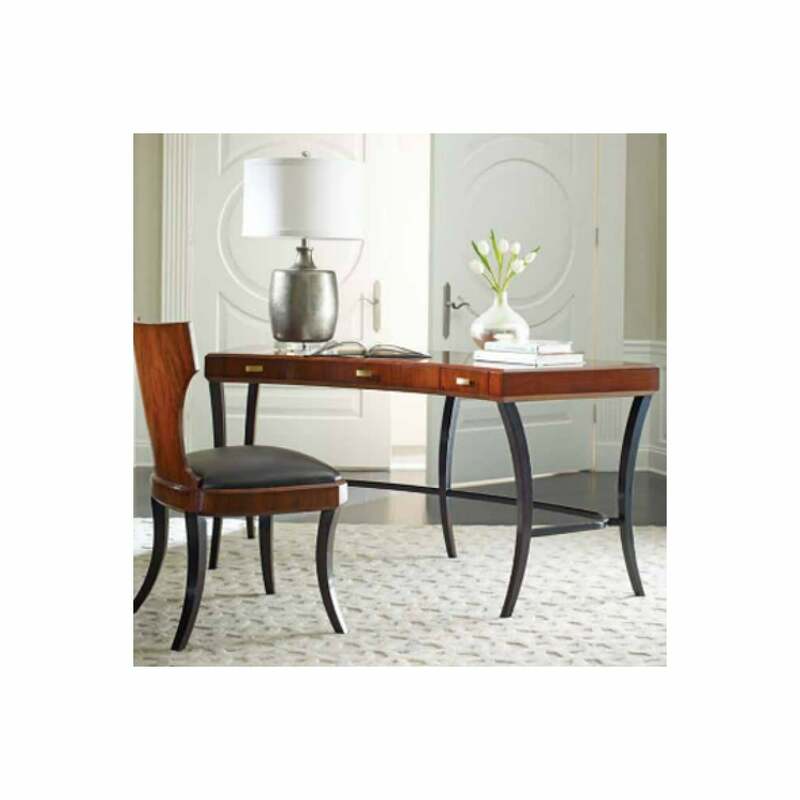 Coordinate with other furnishings from the Jonathan Charles Santos collection. A Tempered Glass Top for this table is available separately if required ( Product Reference Code: SWJC494089-GLASS ).